This commercial just implied that if I drank Dr. Pepper, I could be a kickass boxer. I haven’t had a soda in months, but I doubt that’s what’s standing in the way of being in shape. 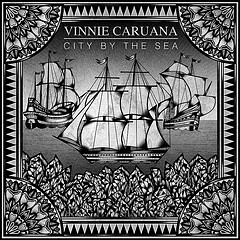 Other than carbonated propaganda, I’m sitting here a little before 1am with Vinnie Caruana’s City By The Sea playing, thinking of what I’m going to do after the Finch show at the end of the week. All those mean a lot to people my age, except that City By The Sea isn’t a Movielife record, it’s far from it. It’s got an acoustic folk feel with a punk attitude that makes a better impression the second and third time around. The whole album plays like a musical eulogy. Every track seems to center around death and the idea of it. “Somehow The World Keeps Turning” notes not dying in one’s car and talking oneself down; suicide averted? Let’s hope so. “Boy, You’re In Heaven” and “To Be Dead and In Love” both have titles that suggest death and mention graves and their inhabitants. Every song played like a gritty folk song with a clear message, minus the sing song ways of “If I’m a Battleship, Then You’re the Northern Lights (Thank You).” It could’ve been about the same thing as all the others, but it was such a ditty, that I just moved my head along to it carelessly. As for the music that surrounds these death notes, it’s folk punk. There’s no other way to put it. If you took Frank Turner and made him grow up in America, had him start a band that made a huge dent and then let him go off and grow up a bit, you’d have Vinnie Caruana’s current style. Speaking of, because I’ve been dragged to a Frank Turner show or two, I can tell you that this style of music is what people in their mid-20s to early 30s are into because they’re a little older and looking for a new, mature sound, but don’t want to abandon the rebellion in their music just yet. That’s what I heard and envisioned throughout City By The Sea. It’s closing in on 1am and my night is not ending with this paragraph, oh no…there’s more work to be done since I took the afternoon off to try and get Magic Johnson’s autograph on a jersey I found in the trash years ago. That’s another story for another day though. So as I look at my “to do” list and groan, I want you to know that if you’re into dudes like Chuck Ragan and Dave Hause, then you’ll like what Vinnie Caruana’s City By The Sea, out February 5th via Surrender/Run For Cover. Also make sure to check Vinnie out when he sets sail (not really, no cruise here) on The Acoustic Basement Tour with Geoff Rickly of Thursday, Brian Marquis of Of Therefore I Am and more, starting February 1st. Traveling has never been something I’ve needed in my life because the thought of planes, trains and automobiles makes me nervous. If I could walk everywhere in a timely manner, I’d never board any type of transportation again. However there’ve always been a few places in the US that I’ve promised myself I had to see before I expired; New York, Florida and Georgia (strictly for MLK Jr.). Except in recent years, Florida hasn’t made me want to go there at all. Yeah, it’s the home of Disney World and Backstreet Boys, but there’s the whole Casey Anthony thing, bath salts and most recently a pooping and masturbating carnie. Andrew Lipinski of Ratham Stone calls the so called Sunshine State home and likes the excitement they’re getting. Hopefully it’s not too much of a distraction when he and his twin brother Adam get to music making. Now while I’d love to continue on about how much Florida scares me, I will keep the spotlight on Ratham Stone. 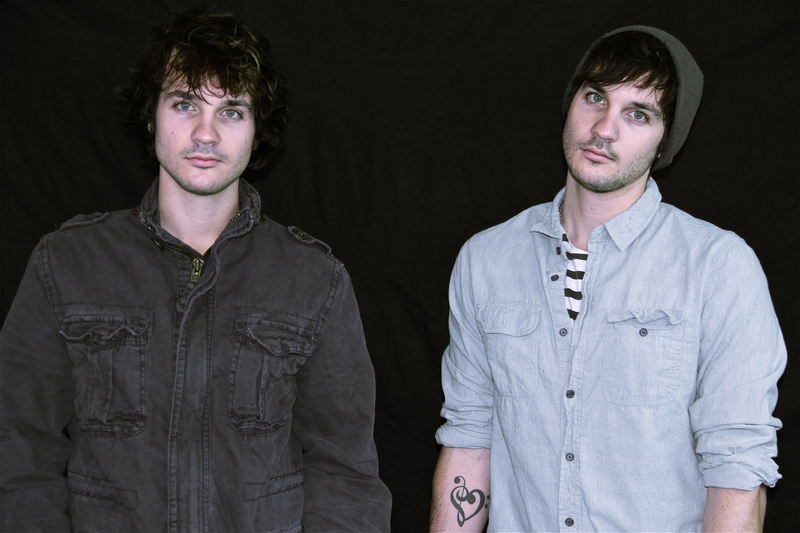 You might not know the name Ratham Stone right away, but if you’re a frequent watcher of 16 and Pregnant and/or Teen Mom, you’ve probably heard their music in the background of an overdramatic teens legal woes or an ex-boyfriend brawl. Not bad for a pair of twins who love Top 40 hits, Disney movies and not sticking to any one particular genre. So keep on reading to find out which hip hop artists Andrew is infatuated with, which one he’d never give the time a day, and a lot more. 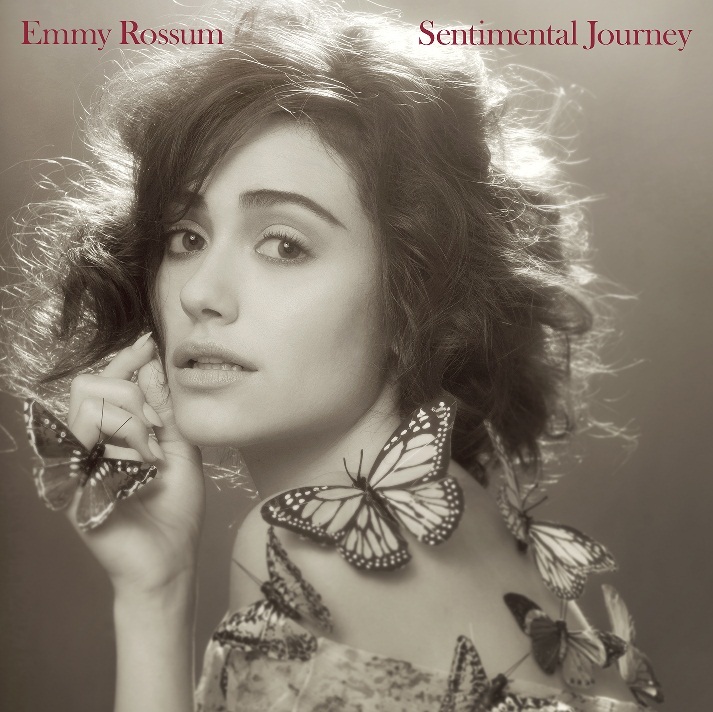 It’s hard to begin writing about Emmy Rossum and her sophomore album, Sentimental Journey. At first, my instinct is fangirl about her, to write about how she inspired me to maintain my vocal purity throughout high school. Who didn’t want to be Christine Daae and win over the hearts of a mysterious phantom and a charming viscount? It was, and probably still is, every vocalists dream to be listed as an “Angel of Music.” However, this article isn’t about my past, but of a period where vinyl records cracked in the distance. In 2007, Emmy Rossum released ambient-pop record titled, Inside Out. It was an experimental album that captivated the instrumental use of the voice. Tracks were multilayered with little to no accompaniment. For an experimental record, it was gorgeous. Yet, between you and I, there was still something missing. The record was clearly personal, vulnerable, but still not quite as strong as it could have been. Sentimental Journey is a musical advent calendar for the entire year. The catch? We don’t have to wait each month to peel back a tiny strip of cardboard. In fact, our first glimpse into Rossum’s journey began in reverse chronological order with “Pretty Paper” back in December of last year. Suffice to say, it was a pretty track, and immediately I worried if that’s all Sentimental Journey would maintain – delicate prettiness. While the album it is a personal homage to Rossum’s musical history, it is also a tribute the classics, the golden era of music itself. To cover songs well-known and full of soul is a slippery road, one wrong arrangement and the tone could shift dramatically. But for those of us who aren’t so well versed in our histories probably won’t even bat an eyelash at Rossum’s stylistic choices, others may stare with their mouths agape and mutter a Los Angeles, “serious?” Personally, I feel that Rossum has finally put in that little piece that was initially missing on Inside Out. September’s bluesy little piece, “Nobody Knows You When You’re Down,” was the track that really sung its heart out to me. There is a grittiness to Rossum’s voice that hadn’t been there before. Perhaps portraying Fiona Gallagher helped the Angel of Music lose her vocal purity. The rawness of her voice is refreshing. The pretty paper has been torn, so to speak. There are of course, still playful pieces where that grit and grime doesn’t belong. November’s, “Things,” is a fun country tune that utilizes “the rasp,” but not to display a despairing emotion. Sentimental Journey maintains its consistency of time through music and artwork. Rossum has successfully comprised a collection of covers that reflects the moods of each month. Despite that the arrangements aren’t entirely tampered with, I feel preserving the elegance of the track reminds us that a song can transcend through the ages. Quite simply put, some things simply don’t have to change to be new or different. This is the kind of album of reflection, where we can share and sing along with one another as the days go by.